Pallets can be recycled or reclaimed with never ending possibilities. 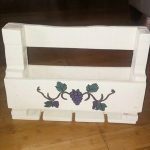 You can make furniture stuff for your home, office and work places out of wooden shipping pallets with so simple constructions works and readjustments. 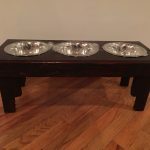 This DIY pallet ware house cart is a beautiful example of pallet wood art works and can give you a great support in home for transportation of some heavier home objects. 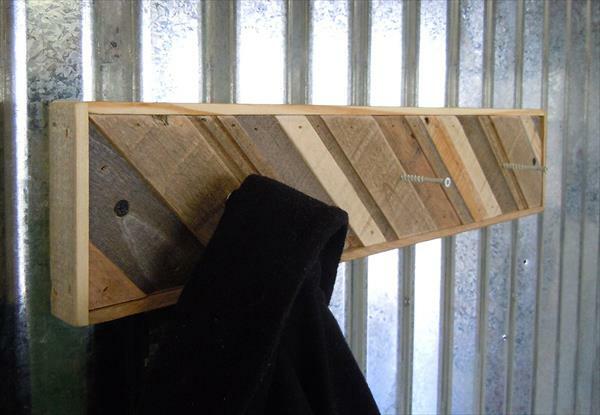 Here is how you can create some helpful components for daily use out of pallets. 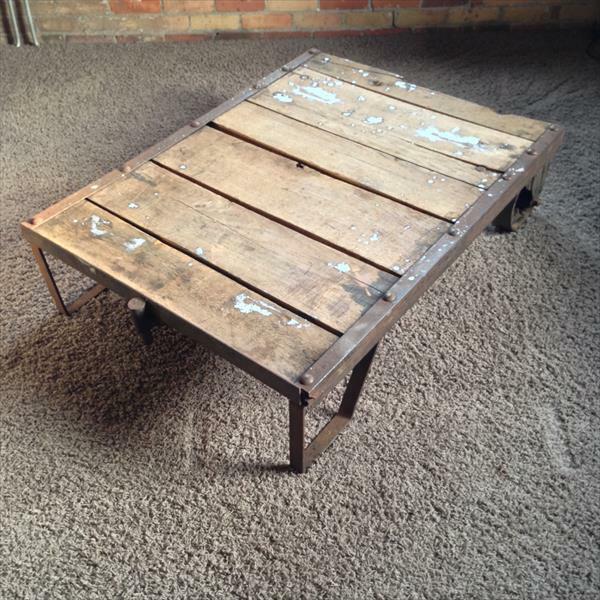 Simple drag it inside you patio sitting plan and use it as a DIY pallet coffee table there as it has a wide rustic top. 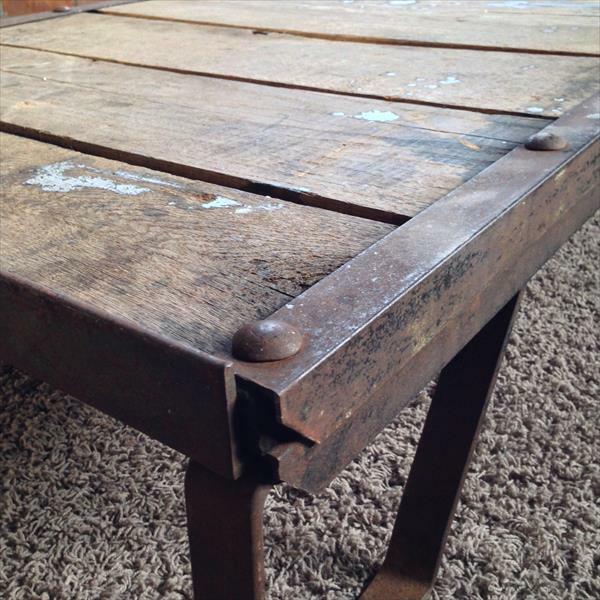 Rustic iron and steel scrap lengths have been used for side trimming and a sturdy base. Do get this multifunctional design out of pallets and make your home capable to run great routines. 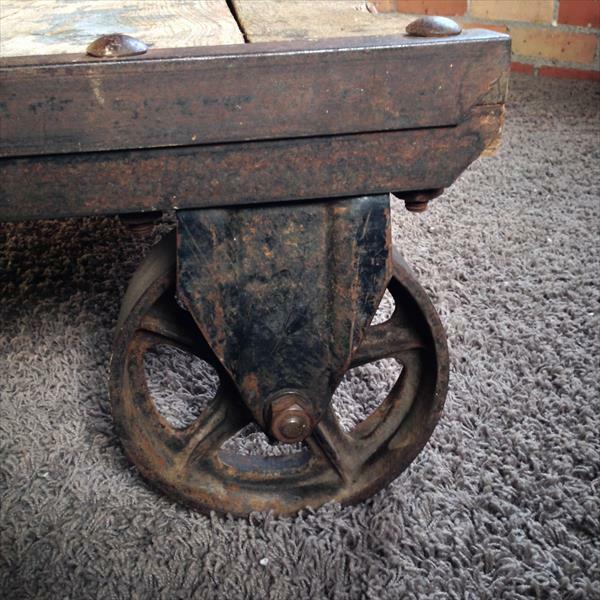 You can also take a close look on various other layouts of DIY pallet industrial tables which have a very lasting combination of wood and metal.